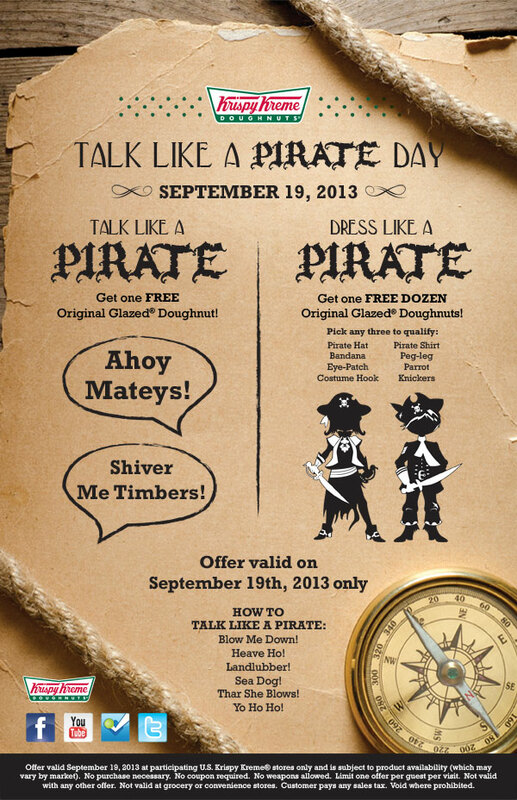 Jedi Mouseketeer: International Talk Like a Pirate Day 2013 - Say these Disney Quotes for free fish and donuts! Savvy? 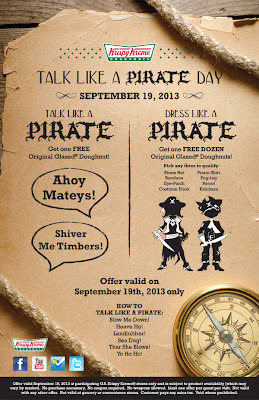 International Talk Like a Pirate Day 2013 - Say these Disney Quotes for free fish and donuts! Savvy? "Drink up me hearties, yo ho! Yo ho, yo ho, a pirate's life for me! A toast to piracy and its many shiny rewards. As a career, what could be more rewarding? Drink up me hearties, yo ho! Yo ho, yo ho, a pirate's life for me! I humbly accept this magnificent treasure as my reward for a life of villainy, larceny, skullduggery and persnickety-nee. Drink up me hearties, yo ho! Yo ho, yo ho, a pirate's life for me! I raise a toast to honor my many shipmates lost at sea. Salute, mes amis. Drink up me hearties, yo ho! Rascals and scoundrels, villains and knaves. Drink up me hearties, yo ho! We're devils and black sheep, really bad eggs. Drink up me hearties, yo ho! Drink up lads! There's treasure enough for all! I shall take this paltry sum as a stipend to cover my expenses, and a chest of jewels. Drink up me hearties, yo ho!" Yo ho, yo ho today is International Talk Like a Pirate Day! Use pirate speak and some memorable quotes from Disney's Pirates of the Caribbean attraction and film and score some freebies! To celebrate Long Silver's is giving wannabe pirates a piece of classic whitefish if you say "arrr!" For more details visit https://www.facebook.com/LongJohnSilvers. "Strike your colours you bloomin' cockroaches! 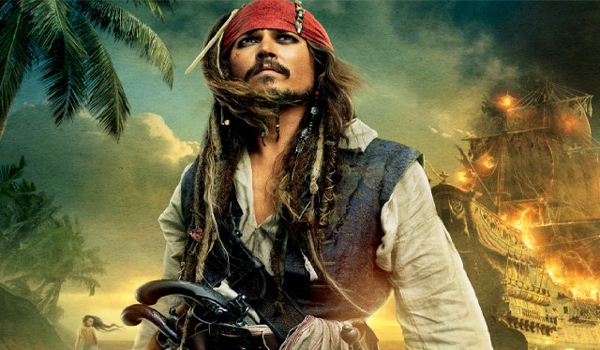 Surrender Captain Jack Sparrow or by thunder we'll burn this city to the ground!" Today any buccaneer to enter a participating Krispy Kreme and talk like a pirate gets one FREE Original Glazed® doughnut. To the landlubber who dares to wear full pirate attire goes a bounty of one FREE dozen Original Glazed doughnuts. Offer good on International Talk Like a Pirate Day, September 19th, only. At participating US and Canadian locations (excludes Puerto Rico and CT). Print out this eye patch and work on that quick-fix pirate costume - http://www.krispykreme.com/Pirate! "Weigh anchor now, ya swabbies. What be I offered for this winsome wench? Stout 'arted and corn fed she be..."
"Hey, are you selling her by the pound?" "Shift yer cargo, dearie, show 'em your larboard side." For more details on International Talk Like a Pirate Day visit www.talklikeapirate.com! "Where be Captain Jack Sparrow? Speak up! Or do you fancy a swim with Davy Jones?" "Don't tell him Carlos! Don't be chicken!" Dress like a pirate with our site partners at Halloween Express!